The 2019 ECB SuperUtes Series calendar has been announced, including a maiden trip to Perth's Barbagallo Raceway. An eight-round schedule again starts at the Adelaide 500 and finishes at the Coates Hire Newcastle 500, Supercars' season opener and finale respectively. In the sole change from the inaugural season, Sandown makes way for a trip across the Nullarbor for the Perth SuperNight event on May 2-4. That will be Round 2, followed by Supercars' Winton, Townsville, Queensland Raceway, Bathurst, Gold Coast and Newcastle events. 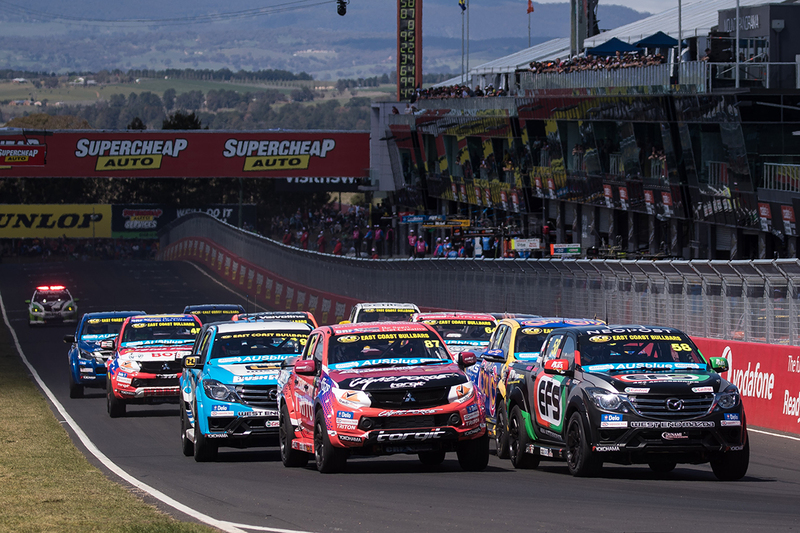 The all-new, twin-cab, turbo-diesel platform made its racing debut in Adelaide earlier this year, with models from Ford, Holden, Isuzu, Mazda, Mitsubishi and Toyota now on the grid. A total of seven different drivers have won races, with Mazda BT-50 racer Ryal Harris holding a 27-point lead over Toyota Hilux driver Craig Woods. Newcastle will host the 2018 SuperUtes season finale on November 23-25.